The first 4 arcs for 37 euro sounds reasonable. A good price i say. Will MangaGamer be giving out any review copies to interested press? If so, who should one contact to make a request for one? Hey 🙂 What about the Higurashi giveaway on Sankaku Complex? When and how will the winners be announced? Will it be compatible with Mac OS? Can I use “ONScripter-En” for Mac like in the Japanese trial version? We will actually be using the same system we use for our other games for Higurashi. Our system is Buriko General Interpreter, so any tools you have for Nscripter or Onscripter will not work with our release. Also, while we do not generally design our releases to be compatible with a Mac OS, I do believe there are tools and programs for the Mac to help simulate a Windows OS and allow you to run our games. As I am not a Mac user, I cannot direct you to these tools, but perhaps if you ask on Novel News’ forums you might be able to find someone who can point you in the right direction. I believe there are several Mac users on there who enjoy playing Visual Novels. 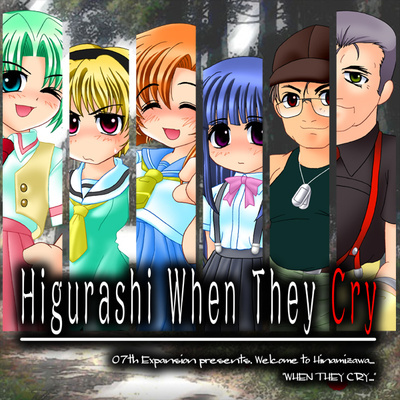 The font used for Higurashi is horrible, is there any chance you could change it before the release date? Were the winners for this ever announced?